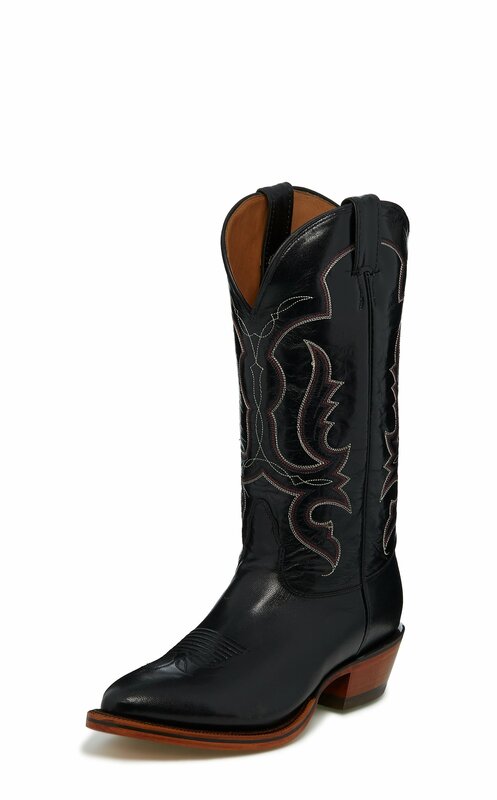 Sleek and striking - the 13" Brownwood boot in Black features captivating flame stitching details and an understated, refined look. The 1 1/2" underslung heel is designed to ride, and the cushioned insole inside is all about comfort. This style is proudly Made in the USA with global parts.